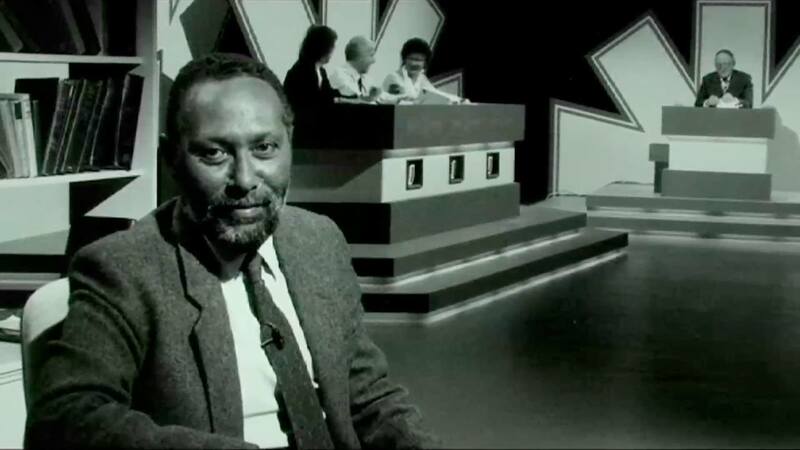 On hearing the news of Professor Stuart Hall’s death at the age of eighty-two tributes poured in from all sides. The Guardian called him the ‘Godfather of Multiculturalism’, the Open University flew it’s flag at half-mast, Laurie Taylor from Times Higher Education spoke of his intellectual mobility, his empathy and how it was a privilege to have him at the heart of the Open University. The Independent stated, ‘Stuart Hall: Sociologist and pioneer in the field of cultural studies whose work explored the concept of Britishness’. Professor Gus John stated, ‘he was an intellectual giant’ whilst Henry Louis Gates Jnr said ‘he was the Du Bois of Britain’. 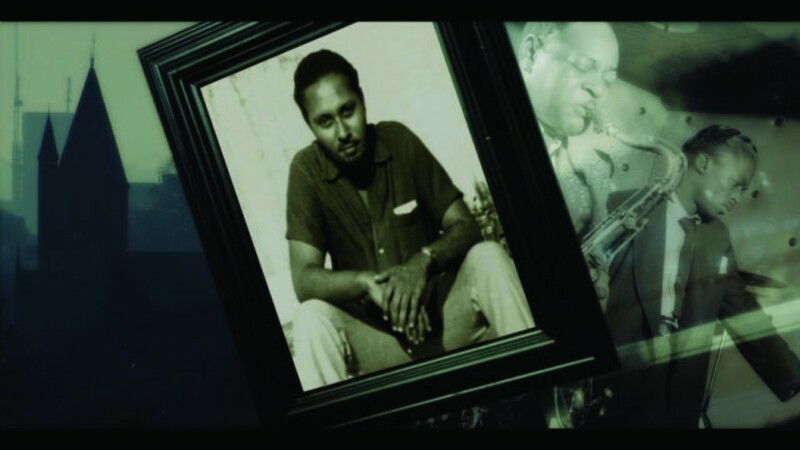 Whilst in Jamaica Annie Paul who he mentored since 1996 after he visited the University of the West Indies to speak at the Rex Nettleford Conference paid a deeply personal tribute to him stating that ‘he was an extraordinary thinker whose work ranged over a broad field of interests including visual arts’. The tributes give some insight into who Hall was. But it is far better to read his work first hand. In that way his words, ideas and theories are not undermined by second or third hand story-telling. In uncertain times we can learn from Hall’s life, work, ideas, and theories. He was an exemplary teacher and he gave us the tools to understand the world we live in better and how to navigate our world. Reading and revising his work within schools, colleges, universities, arts centres, the home would be a fitting tribute to him. Whilst putting what we learn into positive action and creating a more just system to live in would be a fine tribute to a man whose life was dedicated to education and the creation of ‘an alternative, more just, more inclusive, less racially driven, less patriarchal system to live in’. 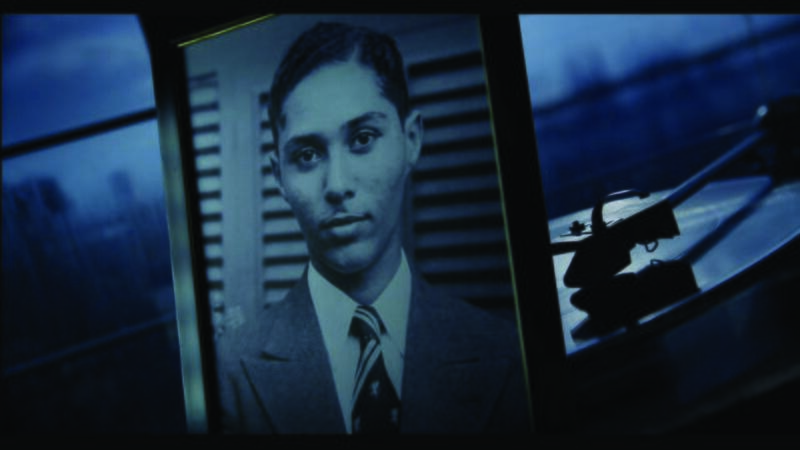 The Stuart Hall Project made by John Akomfrah is a coming together of two people with very considerable achievements. 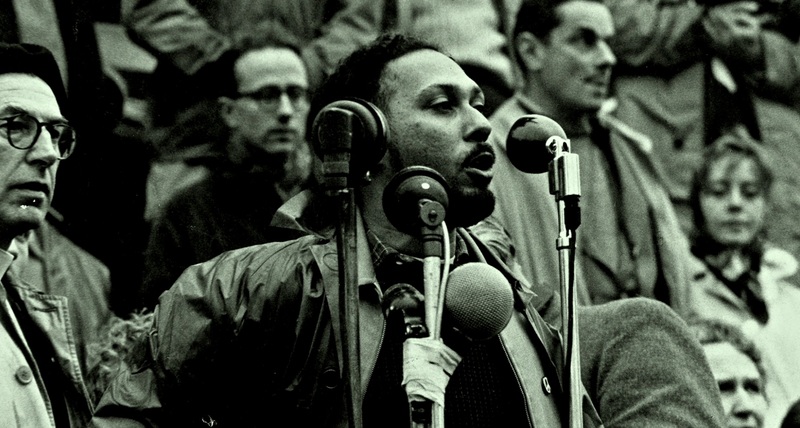 Professor Stuart Hall is recognised as one of Britain’s most influential intellectuals. In 1957 he was a founding editor of the hugely influential Universities and New Left Review, the predecessor of New Left Review that began in 1960. Hall was described as ‘the co-creator of the first cultural studies programme (at BirminghamUniversity in 1964). He has been the most prominent of Black British intellectuals since the 1960s, a prominent figure of the Open University and among the most trenchant critics of Thatcherism’. John Akomfrah is a leading Black British artist, writer, film director, screenwriter and theorist who for many years was in conversation with Stuart Hall and Professor Catherine Hall his wife. The friendship began in 1987 when Akomfrah was making Handsworth Songs a film essay about the ‘civil disturbances of September and October 1985 in the Birmingham district of Handsworth and in the urban centres of London. Running throughout Handsworth Songs is the idea that the riots were the outcome of a protracted suppression by British society of Black presence’. Akomfrah asked Hall to sit in on an edit. Hall known to Akomfrah because of a BBC programme called ‘It Ain’t Half Racist Mum made by the group Campaign Against racism to look at the representation of Black and Asian people on British television was a public intellectual in Akomfrah’s mind. While the publication of Policing the Crisis revealed to Akomfrah Hall’s academic side and with the 1985 publication of The Empire Strikes Back Akomfrah felt that Hall was connected to ‘our practice both politically and culturally’. It came as a surprise to Akomfrah when Hall agreed to view the edit. Sitting alongside Akomfrah he made suggestions that enhanced the narrative. Of the meeting Hall said, ‘I lived in Handsworth and knew what happened’. The friendship nurtured over a period of time is reflected in Akomfrah’s 2012 gallery piece The Unfinished Conversation ‘a three-screen structure that examines the nature of the visual as triggered across the individual’s memory landscape, with particular reference to identity and race. 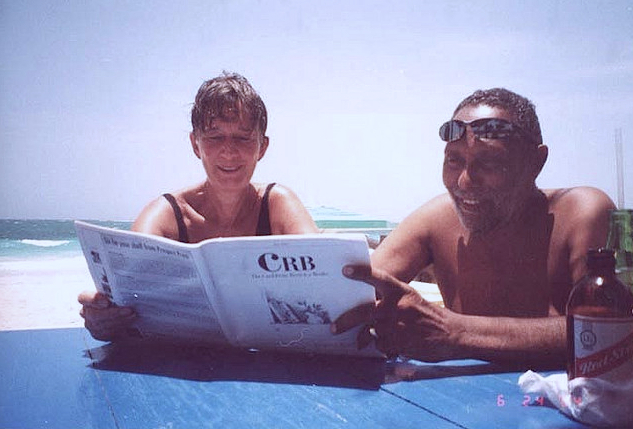 In it Stuart Hall’s memories and personal archives are extracted and relocated in an imagined and different time, reflecting the questionable nature of memory itself. This multi-layered three-screen installation investigates the theory that identity is not an essence or being but instead a becoming, where individual subjectivities are formed in real or fictive spaces’. Mark Hudson writing for The Telegraph in 2012 stated, ‘If Hall isn’t quite a household name, much less an acknowledged national treasure, this film will convince you he should be both’. Whilst Akomfrah was making The Unfinished Conversation ‘a take on his legacy and implications’ he was also working on The Stuart Hall Project ‘his take on us and the outside world’. Released in 2013 it was an idea in formation for twenty-five years. The film essay opens with a haunting sound mix of wind and the movement of trains on tracks, which seamlessly merge with the moods of Miles Davis’ jazz movements. The theme of movement is an idea Hall would continuously interrogate. The sound opening is followed by the titles, ‘Stuart Hall is one of the founding figures of the New Left and a key architect of Cultural Studies. He remains one of Britain’s most influential intellectuals. As a cultural theorist and public intellectual he has been appearing on radio and television for over fifty years’. The introduction is a whirl of montage, audio voice-overs from radio and television which introduces the audience to Stuart Hall via a programme for the Open University, the challenges Hall faced as a public intellectual, how he was viewed in Britain as a man of supreme intelligence who was an authority on the Suez crisis, the Hungarian revolution, Thatcherism, the idea of the shift from youth to aging, and the concept of a changing identity. It also introduces the audience to Stuart Hall’s love of Miles Davis and his own inner tensions. Over a montage of black and white photographs and a penetrating Miles Davis track he states, ‘From about nineteen or twenty Miles Davis put his finger on my soul. Various moods by Miles Davis matched the evolution of my own feelings. There continued to be a regret for the loss of the life which I might but didn’t live, and the uncertainty the restlessness and some of the nostalgia for what cannot be is in the sound of Miles Davis’ trumpet’. Throughout the film Akomfrah uses a Miles Davis movement as a signature motif to highlight certain crises of identity either for Hall or for the Black people he is reflecting upon. The loss he speaks about is never fully articulated but there is an over-riding sense that the problem of race is an over-arching factor. The film essay is not linear; there is a ‘cyclical movement that reflects Hall’s suggestion that societies exist in a state of permanent revolution’. Yet it’s structure has an unfolding chronological order that traces Hall’s journey from his childhood in colonial Jamaica, an experience that marked him as an outsider to his family because his skin colour was three shades darker to his journey to England. During this chapter Hall’s discussions on colonial identity, globalization, youth, political changes in Jamaica are interweaved with a number of personal stories. He retells the incident with his seventeen year old sister who ‘fell in love with a Black doctor, she was in her twenties my mother said absolutely not. Within about three months she had a serious nervous breakdown and was treated with electric shock therapy which she’s never really ever recovered from’. Another was Hall’s desired departure at the age of nineteen to England where he was ‘full of enormous positive feelings but he discovered something quite different’ on his arrival to Oxford as a Rhodes scholar in 1950. The experience would contribute to shaping his identity as a diasporic West Indian. In the 60s Hall would re-position his identity as a Black Briton citing the influences of the Civil Rights movement. Hall said of his encounter with Oxford, ‘When I got there I realized that someone like me couldn’t really be part of it all. The heartland was a very profound shock’. At Oxford alongside students from Africa and India he helped to form the Socialist Society whose thinking was related to the early post-colonial struggles of Kenya, Burma and Indonesia, ‘violent struggles that have been forgotten’. The introduction to Hall’s early experiences is of vast importance to the formation of Hall’s identity and is both revealing and distressing as to the questions Hall would later consider, articulate, re-think and revise. Ideas of displacement, movement and belonging have been concepts Hall has returned to throughout his career. When he quotes his mother objecting to the increasing numbers of Black people in Britain stating, ‘They should take a long walk off a short pier,’ Stuart Hall states, ‘I knew she was talking about me’. From the 1950s to the 1960s we see the world Hall was thinking about and active in. Driving him was the vision of ‘an alternative, more just, more inclusive, less racially driven, less patriarchal system to live in’. He and those who wrote in the Universities and New Left Review were concerned about ‘the government eroding the welfare state, a generation who they saw growing up with no real moral or political leadership, colonial policies and invasions of countries.’ In the late 50s the murder of Kelso Cochrane would see the Black presence on British streets and there was ‘an awareness not only of community Black struggle but also Black politics emerging’. Of the 60s he said, ‘The British looked in the faces of Black and Brown people who they had been ruling for four hundred years as if to say I don’t really know where you’ve come from or why you’ve come here or what we have to do with your future’. For Hall the lack of recognition was ‘an amnesia about Empire’. In addition very few people in the New Left recognised that he was raised in a colonial country and what that signified for Hall in terms of identity and belonging. Instead some would ask, ‘Why does he always talk about being a Jamaican, he had a good upbringing, a good education’, to which Stuart Hall replied, ‘This is the reason why’. The abstraction of race from the internal social and political context created race as an external problem for British society. Hall would argue that ‘this view could not be true’. On Feminism Hall said, ‘It had one of the most explosive impacts on Cultural Studies which in the early stages was concerned with questions of class and masculinity’. He would be challenged by women who wanted to change the centre of the New Left, which he says was ‘a boys club’. His wife Catherine Hall would challenge him to rethink marriage in Feminist terms. This introduced Hall to a new stage in his life. Feminism taught him that, ‘there was a difference between a conviction in the head and how you live’. Of his marriage to Catherine who he met whilst on a protest in Yorkshire and whom he experienced the most racism of his life with he said, ‘It has been a fantastic experience watching her journey’. To make sense of Hall’s life one must understand his beginnings to comprehend a film essay which considers his ideas on hybrid identities, colonialism, post-colonialism, culture, youth movements, education, race, racism, displacement, domestic and international politics, history, sexuality, nuclear power, representation, class, feminism, multiculturalism, the multicultural drift, post-modernism and a constant rethinking of old concepts. As Hall says, ‘the new reconfirms the past, each time it happens it draws a change of perspective or a change of paradigm’. The film essay is constructed from over 800 hours of archival footage that had to be cut down. For every piece of audio there are six hours more that was not included. Stuart Hall was a prolific speaker and Akomfrah illustrates this with imagery, a wide-ranging number of media appearances and voiceovers from numerous radio broadcasts. Some of the images are brutal, one in particular from Vietnam of a person burning. This is Hall’s generation, an era when the news wasn’t sterilised, the Other was another human being, and the viewer saw the actions of war and was provoked into positive action. Condensed into a one-hour feature film essay the densely woven tapestry of ideas has brought some viewers to tears because it is a reminder of a moment they feel has now long past, a revolutionary moment when equality between Black, Asian and white people seemed possible. In so much as the film is a celebration of Hall it can also be read as a lament for the passing of an era when Hall a prominent left wing intellectual was present on our televisions and radio stations. It is also according to Ashley Clarke an ‘elegy for a lived life’. The carefully crafted Miles Davis soundtrack highlights this coming of age and the passing into memory. Akomfrah uses it to compose the film essay as a musical score punctuated by chapters and sound motifs that creates a deeper place of reflection. Akomfrah says that whilst making the film he discovered that there were people such as Hall who were thinking about his generation, their lives and their future trajectories. Whilst Hall says on watching the film he learnt things about himself that he didn’t know. If there is a criticism of the film it is that it shies away from Thatcherism (the term was created by Hall before Thatcher’s election as prime minister in 1979) and the ushering in of a long period of neo-liberal dominance. A period we’re still living in. There is a photograph of Thatcher & Reagan and some famous footage of police horses at Orgreave during the miners’ strike of 1984-85. But very little is said about the radicalism (from the right) of Thatcher’s politics. Hall wrote about Thatcher continuously in the now defunct journal ‘Marxism To-Day’. Hall said in an interview with Jonathon Derbyshire for The New Statesman in 2012, ‘When I saw Thatcherism,’ Hall remembers, ‘I realised that it wasn’t just an economic programme, but that it had profound cultural roots. Thatcher and Powell were both what Hegel called ‘historical individuals’ – their very politics, their contradictions, instance or concretise in one life or career much wider forces that are in play’. The other criticism is that whilst the film essay reflects Halls contributions to political and social change it does not give a clear understanding that these ideas were integral to the adult teaching courses he gave at the first Centre for Contemporary Cultural Studies at the University of Birmingham founded by Professor Richard Hoggart in 1964. ‘Under the directorship of first Hoggart and then Hall and Richard Johnson, and with the commitment of Michael Green throughout, the Centre operated at the intersections of literary criticism, sociology, history and anthropology. Rather than focus on ‘high’ culture, the intention was to carry out group research on areas of popular culture such as chart music, television programmes and advertising. This approach went profoundly against the grain of conventional academic practice’. With the arrival of Thatcherism Hall would teach Cultural Studies at the Open University. He retired from the Open University in 1997. The film essay comes to a halt in 2000 because that was the last live interview Hall took part in and Akomfrah said he had to stop somewhere. After retirement in 1997 Hall spent the last decade establishing Rivington Place an art gallery space where arguments about identity could be made by artists who find the doors of established art galleries closed to them. He had hoped to travel more but kidney failure and the need for dialysis three times a week prevented that. Hall became the chair of two foundations, Iniva, the Institute of International Visual Arts, and Autograph ABP, which sought to promote photographers from ethnic minorities. More recently he’s written for The Kilburn Manifesto a freely available on-line book with chapters by various contributors about neo-liberalism and the situation now. At the time of his death he was writing his memoir and said, ‘if he ever finishes it will be called Displacement’. 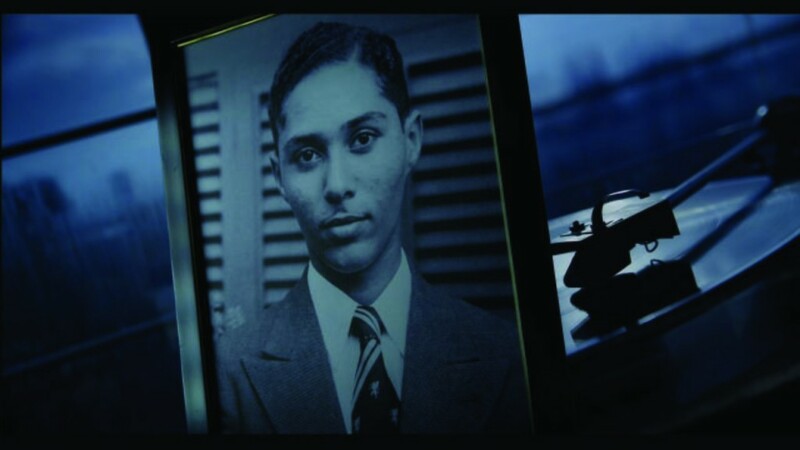 The Stuart Hall Project is Akomfrah’s finest film essay and a tribute to Hall. A man many of us never met, may have glimpsed only on the television, or heard on the radio, may have read an interview with, may have read at University or school level or may have never heard of but who has had an enormous influence on our lives. In making this film Akomfrah intentionally leaves a legacy for the next generation. As Hall thought about others, rejecting Thatcher’s ideology that there was no such thing as society, so too Akomfrah is thinking about the next generation and the historical legacy he leaves to them. In his work Hall highlighted to us that the crises and struggles we face today is one of the symptoms of the abstraction of inequalities from the political discussion. That abstraction leads us towards more authoritarian states. 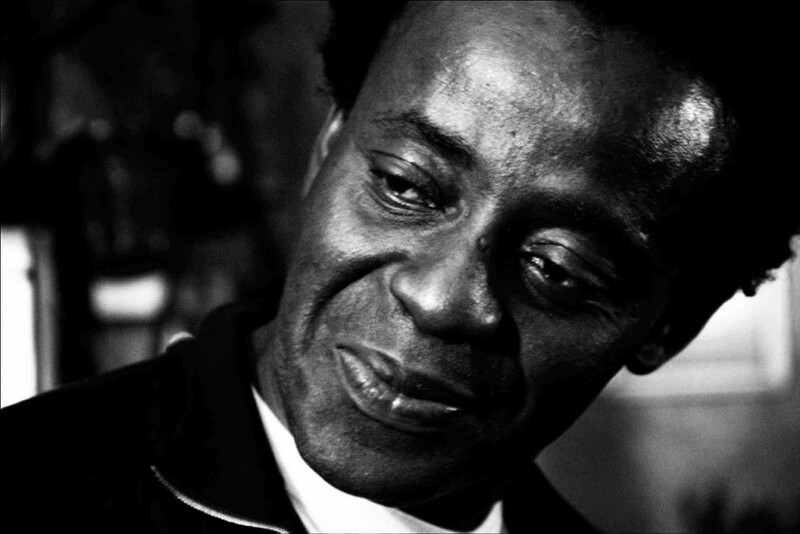 Akomfrah states, ‘Stuart Hall was a kind of rock star for us, a pop icon with brains whose very iconic presence on the most public of platforms – television – suggested all manner of ‘impossible possibilities. By just being there in our bedrooms and living rooms, he opened pathways into that space that he has referred to as the place of the unfinished conversation, that space in which the dialogue between us and the external world begins, that place of identity. With him and through him we began to ask the indispensible questions of that conversation; who are we, what are we and what would we become’. ‘In understanding him and the movements he shaped and was shaped by we begin to understand something about how we became what we are; the Suez crisis, the Hungarian revolution, the anti-colonial project, the Vietnam war, the civil rights movement, the new Left, feminism, class politics, cultural studies. All these interventions, these unfinished conversations’. ‘And in honouring him, we honour the best in ourselves’. Thanks to Smoking Dogs Films, Ashitey Akomfrah, Professor Sylvia Harvey, The BFI, Nicholas Laughlin and Annie Paul for their assistance. I got to know CLR in 1958; did some writing work with him; and the last time I saw him was in Manhattan. It’s a long story of life’s short time. Excellent conversation with Stuart Hall.